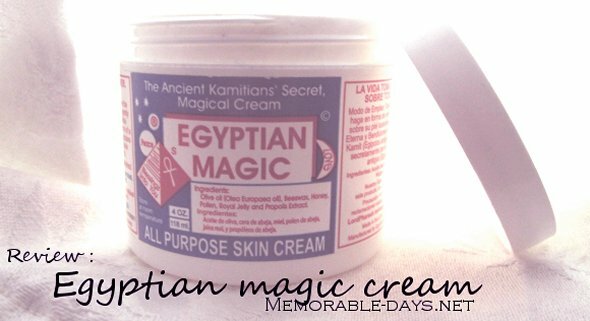 Review: Egyptian magic all purpose skin cream | Memorable Days : Beauty Blog - Korean Beauty, European, American Product Reviews. A lot of makeup guru's talked about this product in the year 2009, like Tao, Bubzbeauty and ahanhbarbie et cetera. And many makeup guru´s are still talking about this product. I have been using this product since 2010 and I´m still liking it ^__^. I actually use this product because of my dry & flaky skin, I have a dry combination skin by the way. So people who have dry spots on your face or body you really should try this product out ;)! It's used as an anti-aging skin rejuvenation to maintain radiant, healthy, smooth and glowing skin. This product seems to lighten the scars as well and evens out your skin tone. It has a very plain white jar, it only has a sticker on it and that's it. Lol, it really looks like a cheap product, but it's quite expensive. It's around $30 USD on Ebay for a 4 oz, 118 ml. jar and this will last for approximately a year if you only use it on your face. They also sell it on their website for 36$ including shipping: http://www.egyptianmagic.com. It looks like a yellow/white wax, but when you rub it on your palms it will become oily. The scent really makes me think of vaseline (the original one). Take a small amount of magic cream and rub it in your palms until it takes the form of oil. Apply it gently on your skin and let this absorb on your skin for 30 minutes. I recommend to use this before you go to sleep, because it's way too oily to use it in the morning. The good thing about this product is that it's made of 100% natural products. The ingredients are olive oil, beeswax, honey, pollen, royal jelly, and propolis extract. I really like that this product is made of natural products. I'm using this product for a while now and it really helped with my dry and flaky skin. It feels so moisturizing and my skin feels very soft and smooth when the product is absorbed. So yeah, I'm very positive about this product. I really recommend this to people with dry skin. The only downside about the product is the price =/ is it really worth the $30 USD? I would say no... There are many moisturizing products which are less expensive than this one. ♥ Made of 100% natural ingredients. ♥ You can use one jar for a long time. ♥ Works on all skin types. 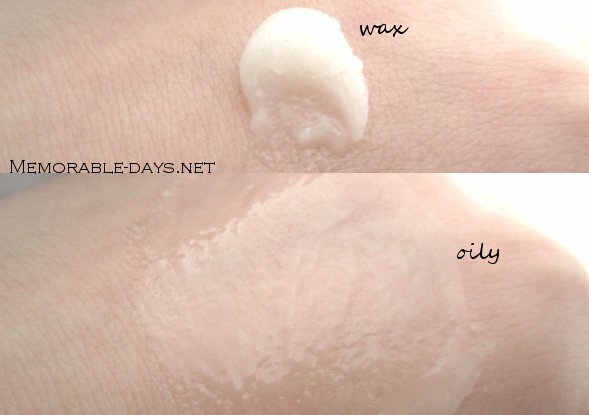 ♥ It's very oily at first and it takes quite a long time to absorb (30 minutes). If you have tried or seen this product let me know and tell me what you think about it :). Ik heb een vette/combinatie huid? Does it work for me? maar ziet er wel enigszins interessant uit.. maar je klinkt niet super enthousiast? Als in: "het is een wonderproduct wat ook die 30 dollar waard is" want ik heb nu ook een creme en die doet precies hetzelfde en kost maar 15.. dus ja.. Die pot is geloof ik von mich .-. @Mei, heb je droge plekken? dan kan je dit ook gebruiken =). Mja, vind het zelf die 30 USD niet waard..
That's awesome!! And I really like the product's name~ It's so enticing. xD! @Melody, it's interesting but quite expensive >.<"
@Robin, inderdaad.. ik denk wel genoeg op de markt die goedkoper zijn dan dit. @Susalie, it works on all skin types. but normally people with oily skin, won't have that many dry spots right o.O"?